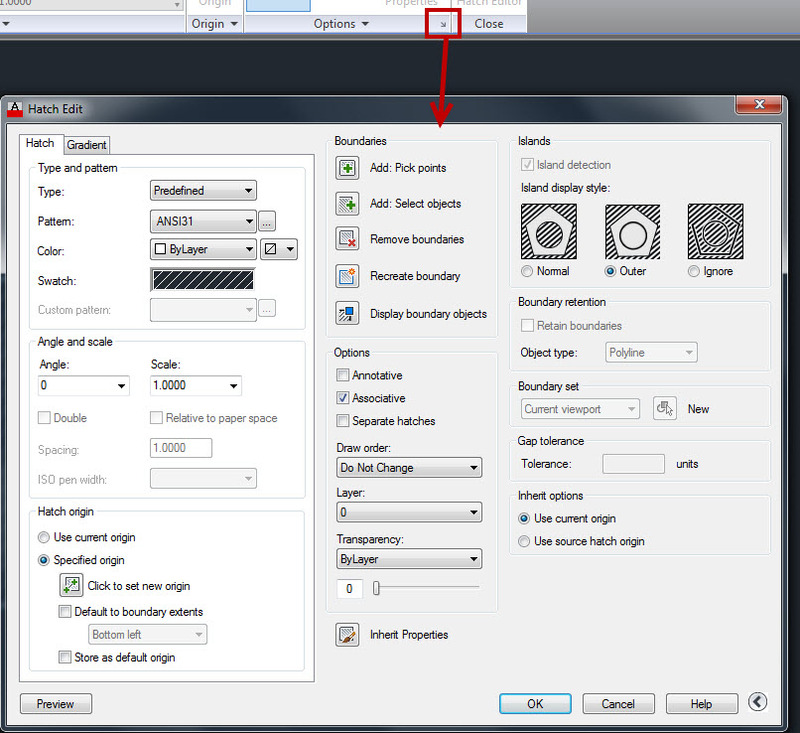 The hatch ribbon has become the “norm” for the last couple of releases of AutoCAD but you may have switch how you place and edit hatches to the legacy dialog box version. But what happens if you switch to the dialog box version and then want the Hatch “contextual ribbon” back? The system variable that controls which version (ribbon or dialog box) is HPDLGMODE (shown below). This entry was posted in BASICS, Hatch. Bookmark the permalink. Thanks for that. I was not too fond of the new ribbon. My dialog box now does not appear at all. I have tried all 3 settings for HPDLGMODE. I have changed my display settings back to one monitor (I typically use 3). Any ideas?